The Olympics is over and the Paralympics has yet to start. 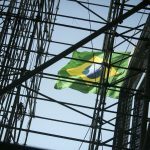 Brazil’s Senate is using the break to start formal impeachment proceedings against President Dilma Rousseff, and the illegitimate government of Michel Temer is preparing a huge programme of privatisations and cuts in education, health and other social programmes, reversing the fantastic anti-poverty programmes of Workers’ Party governments. Fundamental workers’ rights are also under attack, and the country’s national trade union centres, CUT, FS, UGT /CNPL, CSB, CTB and NCST have jointly pledged to fight against plans to destroy the labour code. 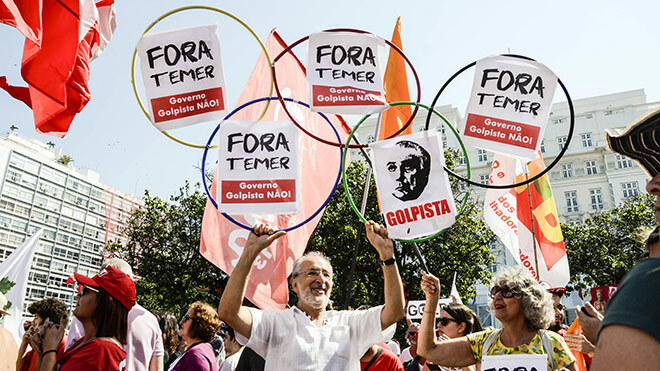 The largest of them, CUT, is also leading a campaign against the impeachment of Dilma and attacks on former President Lula. 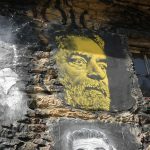 “The impeachment process, based on flimsy charges concerning the Dilma government’s budget, will allow political interests which have failed at the ballot box to take control of the country and roll back over a decade of social progress which started with the election of President Lula 13 years ago. 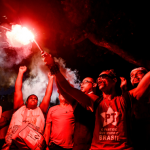 The TUC is backing trade unions in Brazil in their struggle for justice and against the right-wing, slaver regime that has no popular mandate for its attacks on the poor, on women, and on working people. 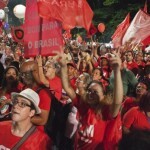 TUC joins calls for new elections in Brazil as illegitimate government tramples democracy Brazilian unions protest for Lula and for justice Why the new Brazilian regime is illegitimate TUC backs Brazilian unions: no to the coup!